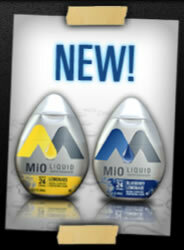 FREE Mio Water Enhancer Today! As promised, Audrey will pick up the bill for 700 MiO samples. Go to the Watering Hole tab this afternoon at 4pm EST for your shot at getting on her tab! Go here at 4pm to get yours!